Magnifier is also known as Magnifying Glass. Magnifier is a optical device used for magnification. Magnifier frame complete is made of Plastic. 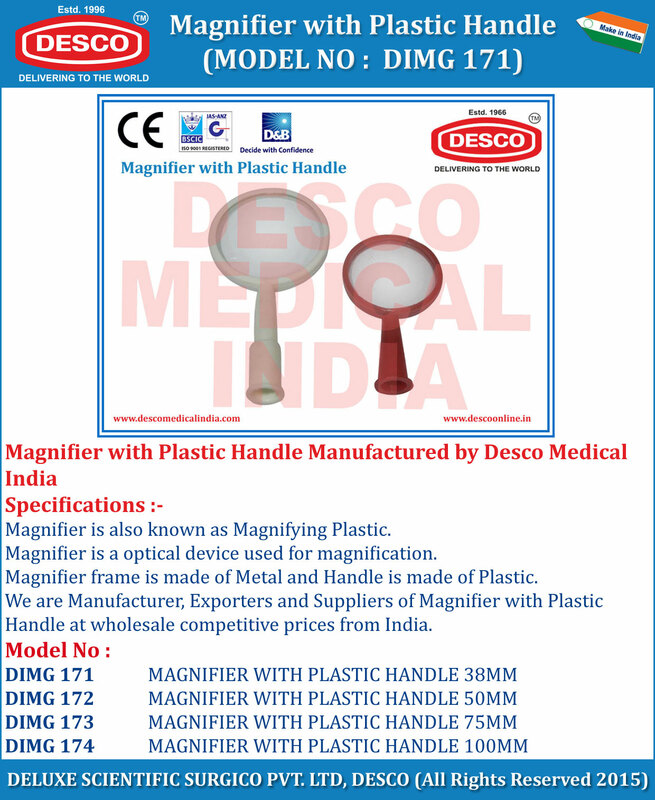 We are Manufacturer, Exporters and Suppliers of Magnifier with Plastic Handle at wholesale competitive prices from India.